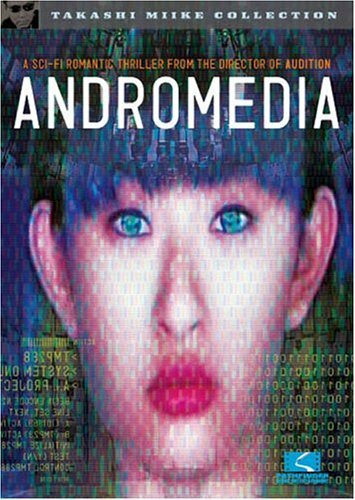 Part science-fiction, part teenage romance, “Andromedia” sure has some surprises for its audience. Takashi Miike’s most successful work up to that point, grants most of it box office success to the J-Pop bands featured in the cast. In 1998, Shochiku hired the director to promote a couple of popular teen bands via a movie. The main plot is tied to Mai, who is killed in a car accident. Her father, a genius programmer, recreates her in a computer program named “AI”. 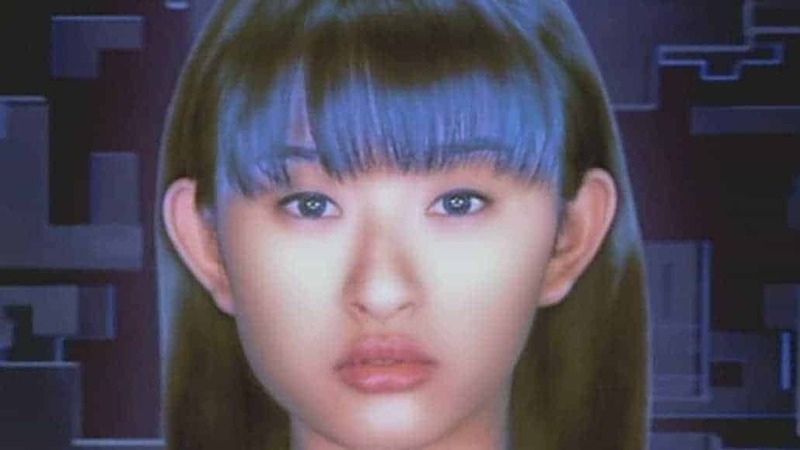 Therefore, he transfers all of her memories into that artificial character and gives her the shape of Mai. Unfortunately, the father’s brother-in-law wants to get his hands on the technology for profit and steals the program. Mai’s father is killed in the robbery. 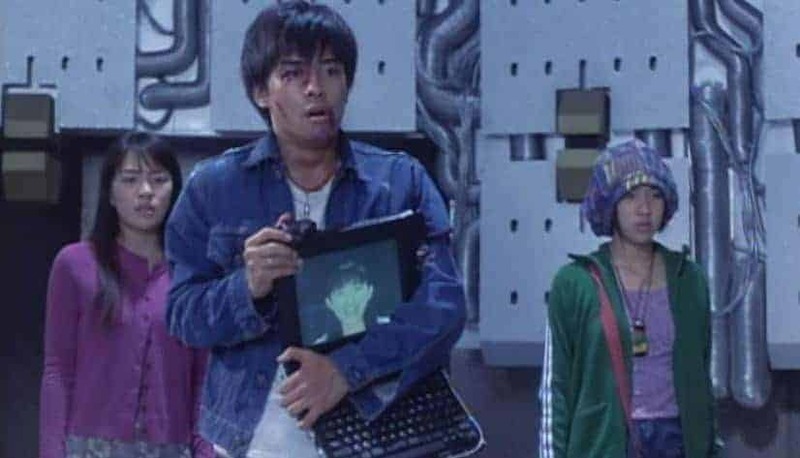 In the further course of the movie, Mai’s friends try to gain control of the program and free AI from the bad guys, who want to erase her memory. 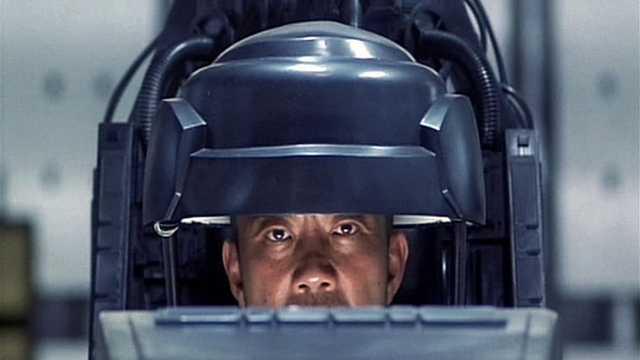 The plot gets pretty off the rails and Miike puts in some crazy idea and images. There is plenty of the typical off beat humor that undercuts the melodramatic parts. Also, the light and cinematography are full of creativity and are way beyond the concept of a 90-minute music video (which was probably the original idea of the film company). Looking at the cast, there is not a bad word to say. The lead role is played by Hiroko Shimabukuro. At that time she was a member of the girl group “Speed”, but continued her career under the more prominent name “Hiro”. Together with her band colleagues, Hitoe Arakaki, Takako Uehara, and Eriko Imai she forms the female part of the cast. On the male side, Kenji Harada (“Strange Circus”, 2005) plays the main character. For being mostly amateurs in the acting business, the young cast performs very professional. There is only a small portion of overly dramatic sequences and nearly no cheesy spoken dialogues. Another surprise was the appearance of Christopher Doyle as the villain. Known for his close work with Hong Kong director Wong Kar-Wai, and assumingly one of the best cinematographers in history, he makes a rare appearance in front of the camera. Since Doyle had no ties with Miike in the past, nor is he involved in the cinematography of “Andomedia”, his contribution to the movie comes out of the blue. Speaking of cinematography…Like I explained, Miike puts on some tricks when it comes to displaying his ideas for “Andromedia”. One of those tricks is the use of low-tech methods. Most striking resembled in the flashback sequences, shot with a hand-held video camera. The movie achieves beautiful images with low definition cameras and creates intriguing visual experiences almost too good to be in that kind of movie. Takashi Miike continues to use this technique in his later film “Ichi the Killer” (2001). The other effects aged pretty bad. Over the years, the special effects being used in “Andromedia” are clearly not able to compete, even compared to other movies from the 90s. The pace of the narration is a big problem in “Andromedia”. I feel kind of sorry for the good cast, that they had to stand through the second half of the film. The first hour is definitely above average and keeps you interested, but as soon as the movie gets interrupted by the performance of the boy band, it all goes downhill from there. But besides that, for Takashi Miike this was a big chance to get his name out to the people and communicate to a teenage audience out of his usual target group. He successfully managed to push through his creative agenda and undermined the claim of the big movie industry.